We encourage everyone to be “devoted to prayer” daily, as we pray for “the church, the world, and all those in need.” As you pray for your family and friends, remember to pray for our congregation (staff, members, ministries, school, foundation), community, country, creation, government and the nations of the world (for life, justice, peace and health for all). 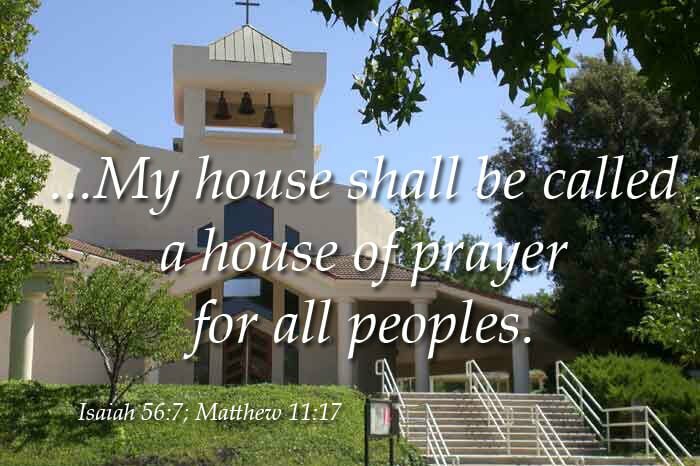 Also please pray for our Evangelical Lutheran Church in America (ELCA), for our presiding Bishop Elizabeth Eaton and our synod Bishop Guy Erwin (Southwest CA Synod), and for the work of the whole church on earth. In addition to those prayers you are invited to daily pray five of the Psalms (Jesus’ prayerbook!) and that way pray through the whole book of Psalms each month! If you would like to pray as you walk, we have the labyrinth in the garden on the east side of the sanctuary and occasionally we will schedule prayer walks in and around our neighborhood. “Word Pray Heal” is our Service of the Word for Healing. This service is held on special occasions, and scheduled as requested. Call the church office to check dates. (The prayer chapel entrance is on the patio near the west entrance of the sanctuary.) During this service there is a short teaching from the Bible (Word) on prayer and healing. Petition prayers are prayed that are personal or intercessory (for another person). The service ends with anointing of oil and laying on of hands for those who want to be prayed for. This is a Spirit-filled time of listening to God’s Word, speaking with God, reflection, meditation and prayers for specific needs. We have a strong Email Prayer Team of people willing and wanting to pray for the needs of others. writing a message to the pastors on the back of the card. Thanksgiving Eve worship service, 7:15 p.m.
With Jesus’ first disciples, we ask, “Lord, teach us to pray” (Luke 11:1) and guide us by your Holy Spirit to be devoted to prayer! If you would like to communicate with the leaders of Ascension’s Prayer Ministry Team, contact: Linda Morrow or Pastor Steve.